His name is Dryx. And it’s best to know him, listen to him, & fall in love with him now. The void of R&B over the course of the 2010’s decade has been something oft discussed by lovers of the genre & even actual artists within the genre. More & more, artists have been sacrificing their vocal talents in favor of whimsical, mysterious production elements, vibes & a hazy ambiance that captures the essence of soul. A new subgenre of Hip-Hop led “Trap’n’B” has formed as a result & while this new subdivision of R&B is welcomed, it has left many posing one simple question: What happened to the R&B artists, especially the men, that can not only sing but actually… you know, use their voice & sing? That’s where Dryx so carefully but aggressively places himself with “Player 3.” Introducing himself soulfully & formally with the nonchalant “My Name Is,” Dryx manages to find a segue between his melodies, modernism, & melisma that meshes the nostalgic contemporary R&B melodies of the early 2000’s with organic production elements of today. From the stacked vocal delight of “Can You?” that is as laidback & charismatically smooth as the very question it poses in its chorus to “Scared of Love” that increases in intensity, vocally & production wise, with each reassuring stride it takes as it builds throughout the record, “Player 3” is the R&B album that we’ve yearned for & ultimately, have needed, whether we’ve realized it or not. Long have we needed the thumping urgency of “Proposal,” an obvious “Player 3” highlight, that begs & pleads for love in the most fervent way amidst powerfully supported chest belts & rumbling bass lines. Long have we needed the seduction of “Different” where vocal runs cascade & parallel with the intimate instrumentation. 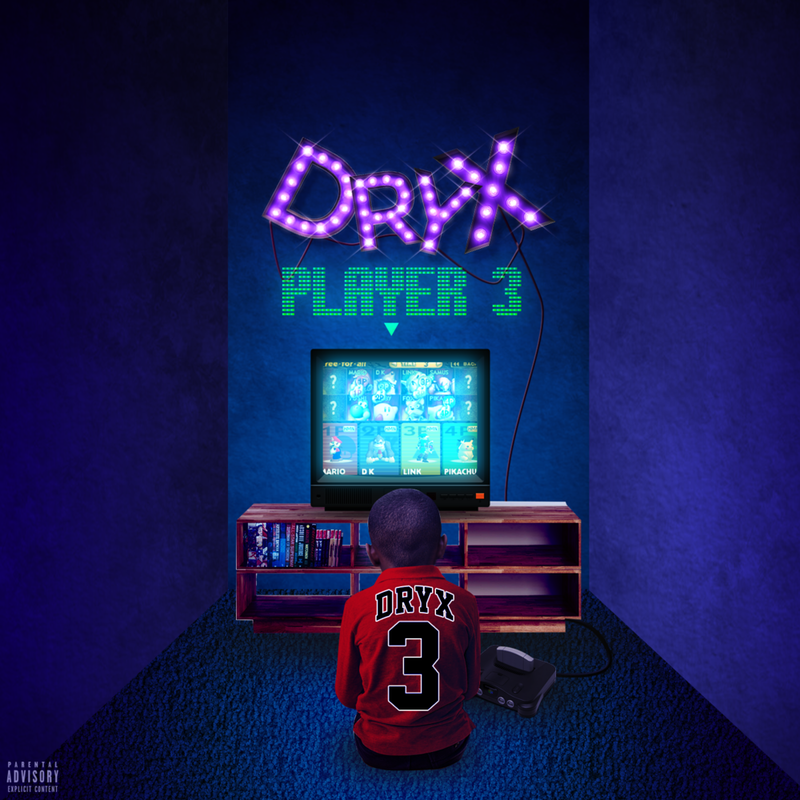 Long have we needed exactly what Dryx & “Player 3” bring to the table: sustainable, melodic, modernized R&B that captures the best elements of both yester-decade & today. Whether it’s the head bopping “Backseat” that entices with its beyond catchy cadence, the neo-soul “Selfish” that harmonizes Dryx’s vocals in the most lush & captivating way, the cool calm & collected “All This Love” where Dryx’s rhythmic cadence possesses the swag of Tupac, or the Jhene Aiko assisted “Faded” that embodies the current sounds of R&B over Dryx’s magnificent background vocals, “Player 3” is too great to be a debut album. It’s too great to be underground. It’s too great to not be adorned & valued for the work of art it is. It’s modern, it’s soulful, it’s sung powerfully, & it’s pieced together with care. “Player 3” is Dryx showing the music industry what exactly they’ve been missing. And if something this great isn’t the wake up call, what’s to come is truly… exciting. This is an artist we need to watch & support every step along the way. Khalil Byrd is a 25 year old writer from Chicago that specializes in detailed analysis & review of the latest releases in music, as well as notable projects from the past. Keep up to date by following him on Twitter via the button below.